With built-in GPS and calling functions, smartwatches are a great tool to keep track of your kids and make sure they’re safe. But which one is best for you and your child? Take a look at our guide so you can buy smart! We researched and compared over thirty different smartwatches for kids. To make sure we selected the cream of the crop, we kept in mind the factors that matter most to parents and kids. For each smartwatch we considered, we looked at things like price, features, functionality, durability, and practicality. In addition to exploring the particulars of each smartwatch, we also scoured online reviews from both customers and experts. For more info on our approach, check out our methodology. If you’re looking for a smartwatch that will help you keep up with the kid who plays hard and lives each day like it’s their last, this is a great watch for you. One of the toughest on the market, it offers a sleek design that won’t get caught on your kid’s bike handles or swing set. 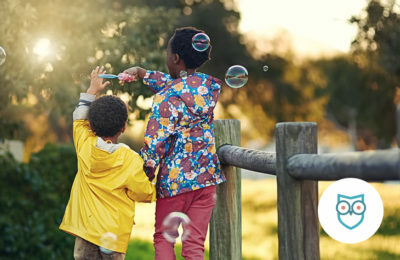 It’s also waterproof for everyday water contact activities, like handwashing and water balloon fights. With four calling contacts, a GPS tracker for real-time location, and boundary crossing alerts, this is an easy tool for keeping up with your little adventurer. One of the earliest smartwatches to hit the market, this is a second-generation product, meaning LG’s had time to work out the kinks. The GizmoPal 2 stands up to dust, dirt, wrestling matches, and water (although it is not fully immersible). Your kiddo can make and answer calls with just one or two touches. Monthly rates start at just $5 if you already use Verizon—and this smartwatch is a cinch to set up and add to your plan. If you’re not currently a Verizon customer, you can still sign up for a plan with just the GizmoPal 2, but the monthly cost would be $15 (it’s $5 if you already have another Verizon line). This device was one of the first smartwatches to enter the market, and it was originally thought of as a wrist-phone for keeping track of your child, so it doesn’t actually show the time unless you press a button. Depending on how you feel about screen time, this may be a pro or a con. If you’re looking for a device that is similar to a smartphone, this watch is not for you. But if you just want a way to keep track of your child, this is a great fit. This is the watch for the kid who wants it all. 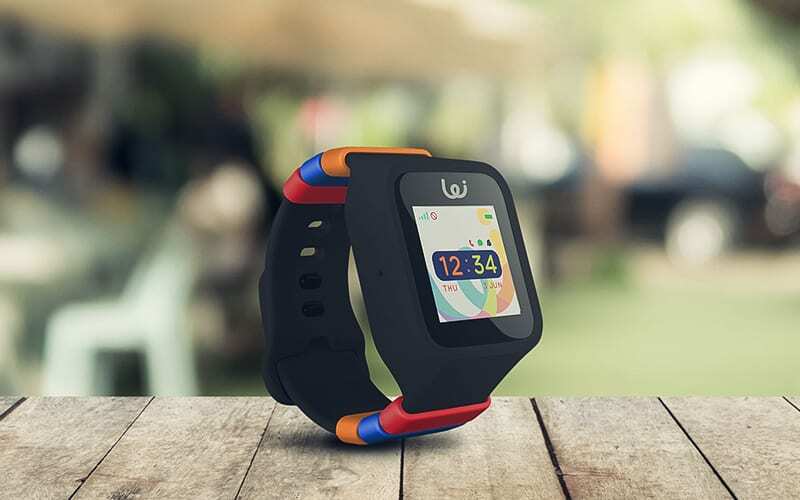 Basically a smartphone that fits on your child’s wrist, this has all the smartwatch features you could dream of: two-way video calling, voice texting, a fitness tracker, a built-in camera and photo album, the list goes on! It’s compatible only with the AT&T network (and its subsidiaries), but that doesn’t mean you have to use that provider for your cellphone too (more details on this in our FAQs). 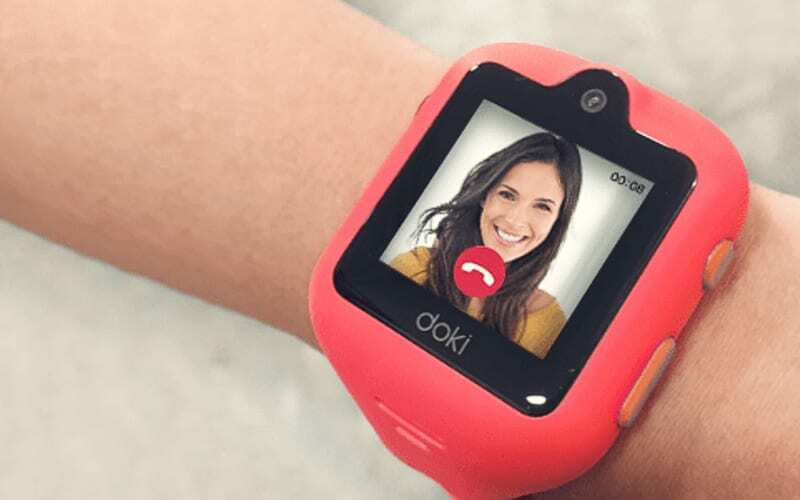 Additionally, parents connect with dokiWatch through an app, so parents can keep an eye not only on their child’s location but also on all the activity on the dokiWatch. The dokiWatch offers a lot of fun options with the camera and photo album, customizable wallpaper, and emoji messaging. This watch will not only keep track of your child—it will entertain them. If a picture is worth a thousand words, then a video is worth millions. 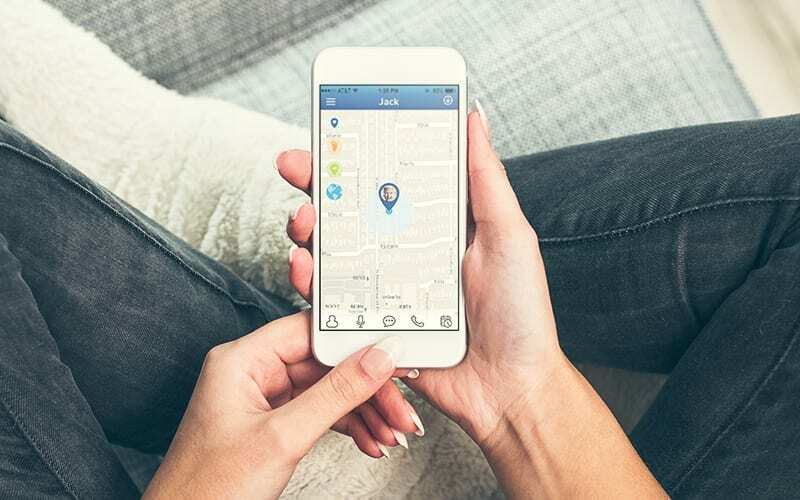 Being able to see where your child is, who they are with, and what they are doing is a great way for parents to gain peace of mind when their child is away from home. At almost $200 for just the watch, you are definitely paying for all those features. 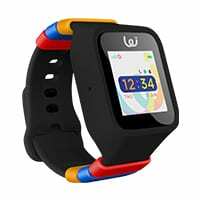 If your family has a tight budget or your kid is one who is likely to lose or break their smartwatch, this may not be the one for you. If you put a lot of boundaries on screen time, this device could be frustrating to you. It’s the kind of watch your child will want to play with all the time, and it could be a distraction in a lot of situations. 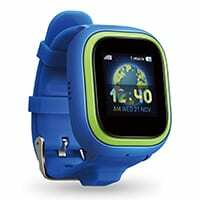 This watch from VTech is a solid offering for kids wanting a smartwatch or other techy device. Highly reviewed and offering a lot of great features, this watch’s only drawback is that it’s just a watch. It does not connect to the internet and it won’t make phone calls or send messages. It also doesn’t have a GPS tracking tool. But as a fun watch for kids, it can’t be beat. 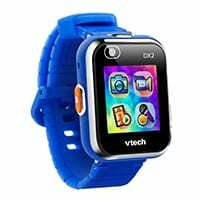 VTech is known for mixing fun and learning together in creative ways, and this watch offers plenty of learning games and logic puzzles. Kids can take selfies, record video clips, and add filters and effects to their photos and footage. A heavy duty watch band and water-resistant watch face make this a great option for kids who play hard. Since this watch doesn’t connect to the internet, it comes with a USB cord to make uploading photos and videos easy. Most smartwatches on the market offer calling and built-in GPS tracking, but this watch is a much simpler device and doesn’t have these connected features. The AmbyGear is a great choice for kids ten and under. GPS tracking is its standout feature, with both satellite and land-based location services for accuracy. 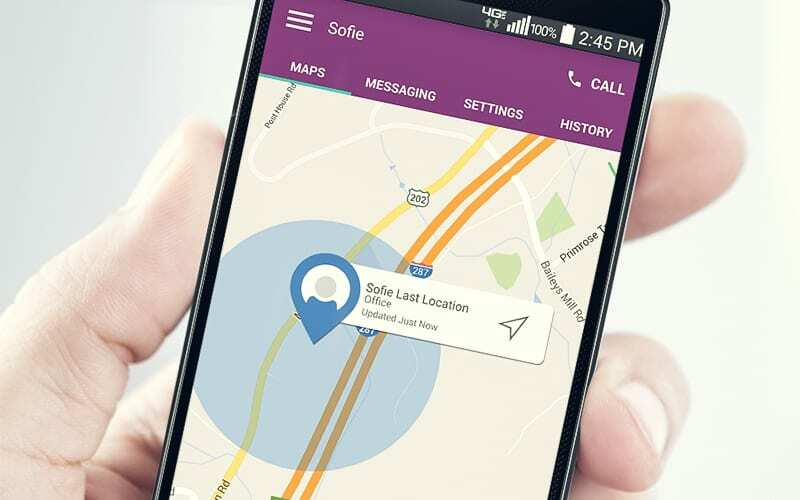 You can also create GPS “SafeZones” and get notifications whenever your kid is out of bounds. This smartwatch doesn’t have a camera and can’t send or receive text messages, but it can be programmed with up to twenty phone numbers. Your child can call out, and you can call them at any time. Water- and shock-resistant, the AmbyGear retails for around $120 with a $15.95 monthly service plan. Does my child’s smartwatch need to be on the same network as my cellphone? No, it doesn’t. While some smartwatches operate only on specific networks (like Verizon or AT&T), that doesn’t mean your personal cellphone plan needs to be through that network. In some cases, being on the same network may lower your monthly bill for the smartwatch, but it’s not essential. Many smartwatches have an app that you’ll connect with on your smartphone. You’ll use the app to sync with the smartwatch contacts and activate any parental controls. What are the hidden costs of smartwatches? This biggest cost of smartwatches is the monthly bill (if it requires a cellphone plan). When considering which smartwatch to buy, read the specs carefully to find out how it will affect your phone bill. Some smartwatches will also use up the data from your cellphone plan, and that can get expensive fast. Additionally, parts can be costly. For almost every smartwatch, you will need a SIM card, and those typically aren’t included. Many smartwatches will come with a battery, but some will have to be replaced from time to time. Again, be sure to read the specs carefully so you know what you need for the smartwatch. 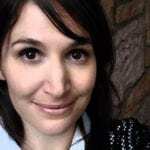 Why do I need a SIM card for my child’s smartwatch? Most smartwatches for adults are connected to their phones and get any information they need for calling or texting through Bluetooth. 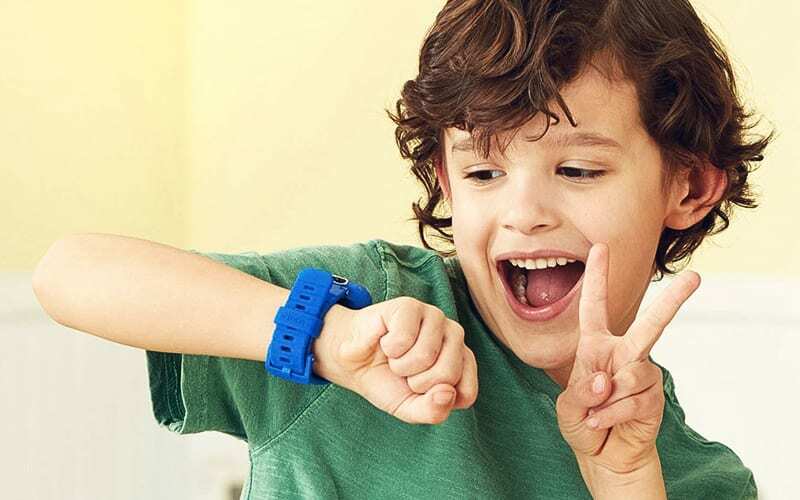 However, smartwatches for kids are designed to not be tied to phones, so they need a SIM card to access the cell network, make calls, and send out a GPS signal. How do I know if my child’s smartwatch is compatible with my cellphone? Most smartwatches are compatible with most cellphones. You’ll download an app on your phone that is specific to your child’s smartwatch. Even if the smartwatch is connected through a different carrier, it will likely still be able to make calls and be monitored by your cellphone. Will a smartwatch make my child more vulnerable to hackers and online threats?